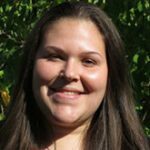 Courtney joined Horticultural Associates in 2014 after completing her college education. She completed both her Bachelor’s in Accounting, as well as her MBA in Accounting at Rochester Institute of Technology. Before joining Horticultural Associates Courtney held positions in retail management and bookkeeping. Working her way through college with three children has molded her into a hard working, motivated person. She is very eager to bring to the company all that she has learned through her college and work experiences. When she is not working she enjoys spending time with her three children. She especially enjoys hiking, camping or any other outdoor activities.